Ocklawaha, Florida — On August 28, 2013, the Marion County Sheriffs received a 911 call from Robin McCumber, telling dispatchers she had done a well check on her neighbor. Robin stated that she had walked to the neighbor’s house and noticed the door was ajar and that it was covered in blood. Robin told dispatchers that her neighbor was lying on the floor in the back bedroom on his back. Upon arriving at the scene, Deputy Phillip Milton and his trainee, Deputy Jason Hunt, saw a piece of wood lying by the front door and a trail of bloody footprints that led directly to the bedroom. Officers found the body of Stanley Yassen, 74, lying face up with no clothes on. There was blood on the bedroom floor and the victim was deceased. Deputies reported that at least some of the injuries had been caused by a knife or other sharp object. Deputies said Yassen had obviously suffered a horrible, violent, and tragic death. Sean Yassen, the victim’s son, told investigators that his father had been involved in selling illegal drugs, namely prescription drugs. On August 29, 2013, just one day after the victim’s body was discovered, an anonymous source told investigators that Yassen had approached him approximately seven days earlier and offered him $1,000 to beat up another individual known to him as “Isaac.” The man stated that Yassen wanted “Isaac” beat up for allegedly breaking into his house. From this statement, investigators immediately began looking at Isaac Duwayne Sheffield as a person of interest. On August 29, 2013, at approximately 7:50 p.m., Detective Bobby Levay made contact with an anonymous woman, and she advised him that on August 28, 2013, between the hours of 4:00 p.m. and 5:00 p.m., two individuals came to her residence in two separate vehicles. One was a blue Toyota and the other a beige Ford. According to the woman, Sheffield was driving the blue Toyota. The woman said Sheffield had another individual drive the beige Ford to her home to do some repairs on it. She stated that a short time later, both Sheffield and the other individual left her home in the blue Toyota and left the Ford parked in her yard. On August 29, 2013, at approximately 7:50 a.m., Sheffield returned to the woman’s residence driving the blue Toyota. The woman told Detective Levay that Sheffield left and returned many times; however, between 1:00 p.m. and 2:00 p.m. he returned and washed the blue Toyota with bleach using her garden hose. When he was done, she said he pulled the beige Ford up into her driveway and washed it with bleach as well. After Sheffield finished washing the beige Ford, he parked it in a secluded area of the property. Sheffield then drove off in the blue Toyota, she told detectives. 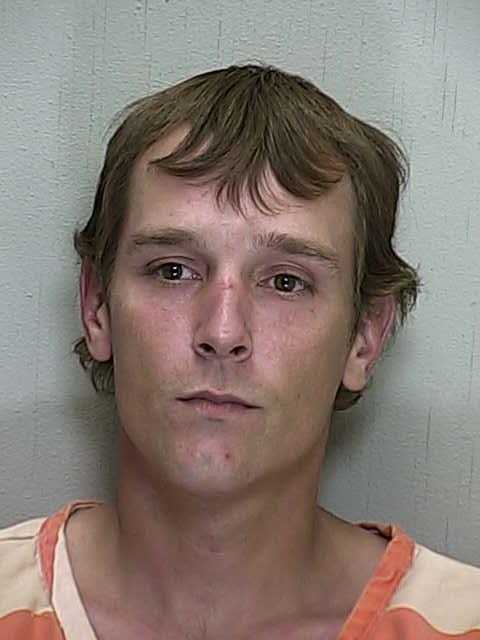 On September 5, 2013, Detectives Clint Smith and Bobby Levay responded to Belleview, Florida, to make contact with a person who stated that Sheffield had come to her residence on August 30, 2013, at approximately 7:00 a.m. and told her that he was arguing with his wife and needed to use the phone. She stated that while Sheffield was at her residence he told her that the sheriff’s office was looking for him for the death of Yassen. On September 6, 2013, Sheffield also told a woman that he was at Yassen’s house three times during the afternoon of the brutal murder. Sheffield told her that he sat down in the house and had a glass of water. She said Sheffield told her that he left the victim’s home and, when he returned, there was blood everywhere. He said that there was blood squirting from Yassen’s neck, so he applied pressure to his neck with a shirt to try and get the bleeding to stop. Sheffield said Yassen died a short time later. Sheffield claimed that he then grabbed the victim’s phone and dialed nine and then one, but hung up before completing the call. She said Sheffield told her that after he hung up the victim’s phone, he left the scene. The woman told detectives that Sheffield had cuts on his knuckles as well as on his legs. She said that the cuts appeared to be a few days old and that Sheffield had mentioned he needed Neosporin to clean them up. Detectives say that Sheffield also told the woman’s roommate that he smoked marijuana with Yassen on the day of the murder. She said Sheffield told her that he didn’t complete the call to ‘911’ because he didn’t want to be blamed for anything. Sheffield also told her he burned the shoes he was wearing because they were too big for him; however, detectives believe if the shoes were burned it was done to conceal evidence. Detectives Clint Smith and Bobby Levay searched the woman’s home where Sheffield had stayed for a few days, but Sheffield left when he learned detectives were coming. Detectives recovered two bags of clothes, a wallet with a driver’s license, the tube of Neosporin, and burnt items from a burn pile. All of the items belonged to Sheffield and were put into evidence. On September 5, 2013, detectives received a tip claiming that Sheffield was headed toward Georgia. Family members in Georgia said they were aware of the investigation in Marion County and advised that Sheffield was heading in their direction to come and stay with them. Detectives then made contact with Captain Page of the Toombs County Sheriff’s Office in Georgia to advise him of the situation, and that Sheffield was headed toward a residence in their jurisdiction. Captain Page told detectives that in light of the seriousness of the investigation, and the fact that Sheffield was the main person of interest in the murder, that he would conduct surveillance on the residence. While conducting surveillance of the area, they observed a maroon vehicle traveling in the direction of the residence, at which time they conducted a felony traffic stop. Sheffield was in possession of prescription narcotics without a prescription and was taken into custody immediately. The driver, Mary Lee, was also arrested for Possession of a Prescription Narcotic without a Prescription. Mary Lee is the cousin of Sheffield. Investigators from Marion County then drove to the Toombs County Sheriff’s Office and made contact with the lead investigator working the case. Warrants were obtained by the Marion County Sheriff’s Office in order to obtain DNA from Sheffield as well as a warrant to search his vehicle. Upon executing the warrant, they found a knife, clothing, cell phone, latex gloves, and a stick in the car. During an interview with Mary, she told investigators that while they were on their way to Georgia, Sheffield had reached into the back seat and grabbed a white plastic bag. She stated that the bag contained floor mats and that Sheffield had thrown them out the window. Mary told investigators that she thought the floor mats came from the vehicles that Sheffield bleached just days prior to leaving for Georgia. She also told investigators that the knife did not belong to her. Mary claimed that Sheffield told her that he was scared that there would be DNA in the cars and that is why he bleached them. On September 6, 2013, DNA analysis showed that the victim’s blood was present on the passenger side front door of the beige Ford; the vehicle in which Sheffield admitted to driving to the victim’s home. The autopsy also confirmed that Yassen had been stabbed multiple times with a sharp object. Officials said this case was a success because of the diligence of the investigators and the Toombs County Sheriff’s Office willingness to work with the MCSO to get Sheffield off the street before he claimed another victim. Investigators believe this all started because Sheffield wanted to rob Yassen of his prescription narcotics. Sheffield will be extradited back to Marion County, at which time he will be charged with First Degree Premeditated Murder.